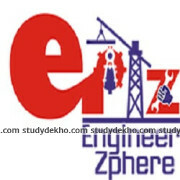 Engineers career group Chandigarh is pioneers in the field of IES as well as GATE coaching. Since 2009, it has been rendering excellent coaching and amazing results. The percentage of students getting selected to various avenues is quite high, meaning thereby that there is surely something special about the teaching here at ECG Chandigarh. Engineers career group, Chandigarh has always believed that one can always achieve with a strategy in mind alongside planning hard work as well as focus. The promoters of the coaching center feel that accomplishing the top spot among all GATE coaching center has never been easy but it is the sheer commitment of the team here that has led to its success. Right from live lectures to designed books that are beautifully explained, ECG Chandigarh is sure to stay ahead in the race for a very long time. Talking about the Engineers Career Group fees then the ECG Chandigarh fee is a way too moderate as per the quality of the education provided. • Faculty: The faculty here at ECG Chandigarh include ex IES officers, GATE toppers as well as IITians. The experts are truly expert in whatever they do and teach. One can never fall short of prep if he enrolls himself for the coaching here well in time. • Testimonies: There are surely a few who do not rely on prima facie praises and compliments until they here directly from the horse’s mouth. Talk to those who have just graduated from their reentrance exam by preparing from here and they would let you know that the Engineers career group has the best teaching methodologies. The course content is enough to secure a top rank in your exam. • Mobile app: Teaching these days has become on the go. Gone are those days when students mandatory had to come to classes on a regular basis for the fear of missing concepts. However, ECG Chandigarh has a very student friendly mobile app that lets students study anywhere and anytime during the day. Their app is regularly updated and it is ensured that technology helps to study in just the perfect manner. • Interview coaching: Engineers career group, Chandigarh is known all around the city and elsewhere for its interview coaching. The interview techniques are taught by experts who are veterans in their fields. Special focus is given on language, accent, presentation, and appearance. As they say, the first impression is the last impression. Interview forms a major part of the entrance exam for GATE and others. Therefore, it is important that one prepares cautiously for the same in order to ace the exam. • Self-assessment: Surprise tests, weekly tests, full subject tests, combo tests, and others keep the students on the front foot at all times. They help a student realize his true potential. One can always avail the benefit of doubt clearance sessions after the exam to help clarify dubious concepts. • Workshops: Engineers career group, Chandigarh ensures that students are regularly acquainted with expert faculty and professionals that are able to show the real picture of the work and study environment once students clear the exam. These guest lecturers keep the aspirants truly and thoroughly motivated. • Approachable professionals: ECG Chandigarh earnestly believes that a stringent atmosphere only instills fear in students. Therefore it is important to let go off all your fears while preparing for the exam. One can easily come within reach of the teachers here at any time to get help with the syllabus or other career-related advice. • GATE Concept course: This course is designed for 2nd-year students who are on the verge of giving their entrance exams. The study at earlier stages surely helps them shine like a star due to better practice and increased confidence. • GATE Intensive Classroom Course: This course is for the final year as well as pass out students. Classes are offered either on a regular or weekend basis. Separate discussion lectures are also held. The study material is provided in the form of workbooks as well as assignments. In this course, all subjects such as maths, general awareness, English and others are covered in full detail along with important concepts. 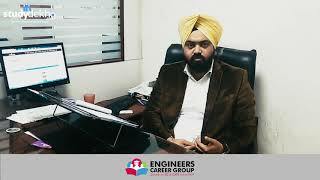 • GATE personal interview guidance: As mentioned earlier, this course at Engineers career group, Chandigarh helps students to enhance their technical understanding about subjects. They are made to develop a positive attitude and work on their presentation as well as communication skills. The course helps candidate face mock interviews, thereby helping them to be better prepared for the final day. • GATE Online test series: The online test series is available on the website of Engineers career group, Chandigarh. One can enroll himself using the user ID as well as password. The students can enhance their examination skills with a dense online competitive environment. Along with that, question bank is also provided for each test. • GATE Crack Pack: This course is like a crash course: In this course at Engineers career group, Chandigarh, special focus is on clearing only important topics. This course is of about 50 days wherein students are made to focus on quality than quantity. Well, if you are late in enrolling yourself for coaching, you can always opt for this course. Nevertheless, if you work hard enough, you are sure to clear the exam. • IES courses: Just like GATE, the same courses are available for the IES course as well. The fee structure is quite affordable too. teachers are co-operative, study material is good .., the environment is also great ....and no doubts. teachers are brilliant ....study material should be better than they are providing ....., the environment is very studious .....they are providing proper doubt classes. All the faculty of the institute is good, infrastructure is good too, relevant material for study. teachers are good so like the teaching approach..., study material can be improved (chapter wise question paper and extra examples should be dere), the environment was good and doubts are cleared. batch strength in the evening is 50 + ..the faculty is good ...study material was good ... sometimes concepts were not cleared .....environment was ok. Engineers career group is the best JE coaching as the faculty was highly experienced and teachers always motivate and guide students. they always clear doubts. Institute has great facilities, it has highly qualified teachers and all staff. the environment is also very studious. they are providing the best study notes. Teachers are very co-operative and helping, the study material is good, the environment is very studious. proper doubt session is conducting. All faculty members are excellent and cooperative. Study material is excellent. hence, overall is excellent. Engineers Career Group is a good institute with a qualified faculty. The faculty member are good and excellent and they provide good study material. The enviroment for study and the faculty is the best part in the institution. and the friendly behaviour between a student and teacher and all the mangement is the thing that i liked the most. 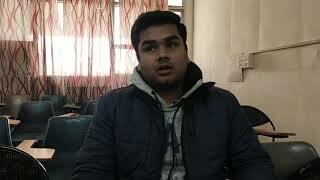 It is very good and perfect institute for GATE,PSU's and IES.i was able to crack gate in first attempt due to this prestigious institution.faculty of this institution especially kailash sir are too helpful and cooperative tuitor.sir's way of elaborating any topic was ultimate.and sir is too helpful in problem solving. Nice teaching method. Amazing atmosphere.